Jimmy Kimmel will have a broader platform than usual on which to make his Trump healthcare jokes this September, as Entertainment Tonight reports the Live! host has been confirmed as the host of this year’s Emmys. It’s ABC’s turn to do the telecasting honors, and the network has once again tapped its preeminent late-night host to work in the requisite presidential campaign observations, in addition to introducing an In Memoriam reel of Jon Hamm’s previous appearances at the Emmys. 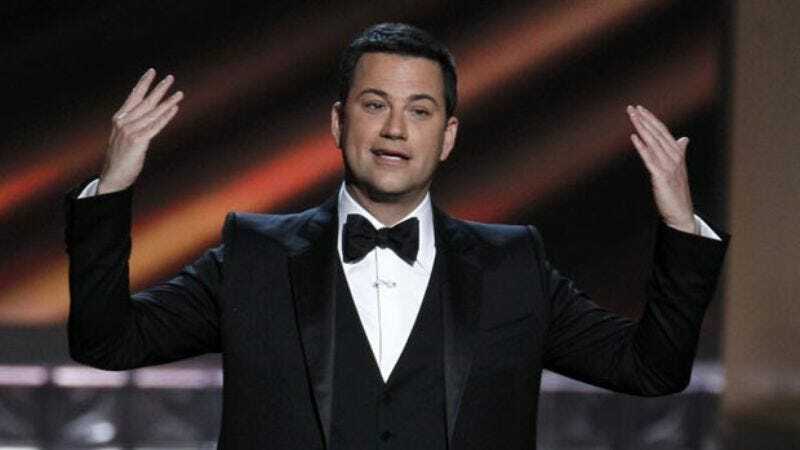 Back in February, Kimmel was reportedly in talks to repeat his 2012 performance as Emmys host; Good Morning America confirmed Kimmel’s appearance earlier today. In a press release, ABC Entertainment president Channing Dungey described Kimmel as “the consummate showman. With Kimmel at the helm, expect to be at the edge of your seat for a bigger, bolder and better-than-ever Emmy event.” The Live! host then took to Twitter to reassure the world that he’s prepared to host the Emmys on what’s essentially a leap-year schedule.